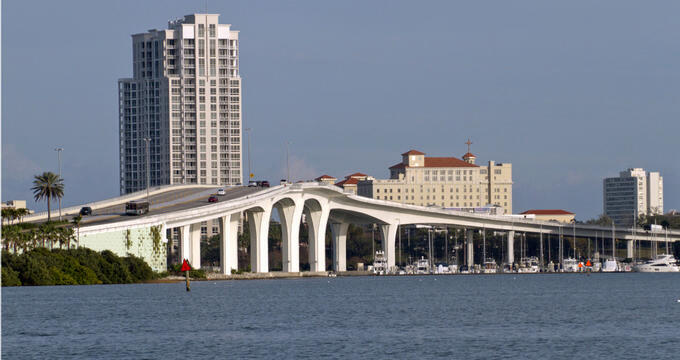 Situated in the Tampa Bay area, Clearwater is a seaside community known for its sunny weather, white sand beaches, turquoise waters, and warm, tropical breezes. A popular vacation destination, the area is filled with several well-appointed hotels, charming boutiques, and sensational restaurants. With the Gulf of Mexico for a backyard, it’s pretty easy to see why the seafood scene down here is top notch. 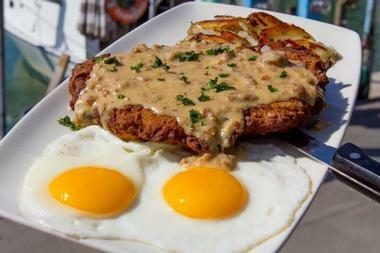 Visitors will find everything from Gulf flavors to southern barbeque to hearty breakfast eats. Sea-Guini is an extraordinary seafood restaurant situated between the Gulf of Mexico and Clearwater Bay. Visitors will find the elegant eatery located along Gulfview Boulevard in Clearwater Beach, Florida. Diners will appreciate spectacular views over the shimmering Gulf, the luxurious setting, and exceptional service. The outdoor terrace provides guests with the perfect opportunity to soak in the marvelous vistas and tropical breezes. The restaurant features white-table-linens, chic tables and chairs, and a full-service bar. Menu items range from fresh local seafood to Italian hand-made pastas to Neapolitan Pizzas. A popular choice is the Grilled Swordfish – prepared with a warm couscous salad, segmented Florida orange, citrus butter, baby arugula, and a balsamic reduction. 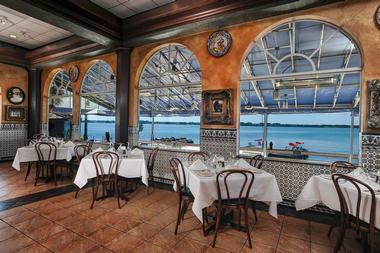 Columbia is a wonderful Cuban restaurant with ocean views, situated along Gulf Boulevard in Clearwater, Florida. Founded in 1905, the restaurant’s Ybor City Historic District location is Florida’s oldest restaurant, as well as the world’s largest Spanish restaurant. All of the restaurants, apart from the café at Tampa International Airport, are family owned and operated. Diners will enjoy creative and authentic Cuban dishes prepared with fresh, locally sourced ingredients. The restaurant has a lovely wood-decked patio area with several tables and chairs, hanging potted plants, and stunning water views. The Grilled Grouper is divine – seasoned and grilled to perfection. Served with fresh vegetables and yellow rice. 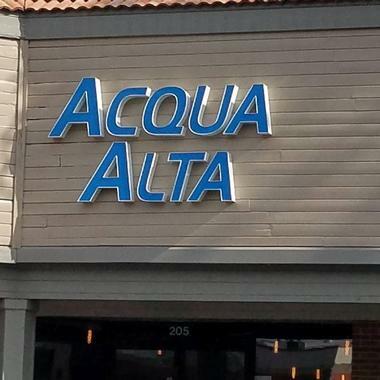 Ristorante Acqua Alta is an Italian restaurant in Clearwater, Florida, between Old Tampa Bay and the Gulf of Mexico. Owners Patrizia and Paolo have perfected their menu using Italian cooking techniques, locally sourced produce and ingredients, and sustainable proteins. 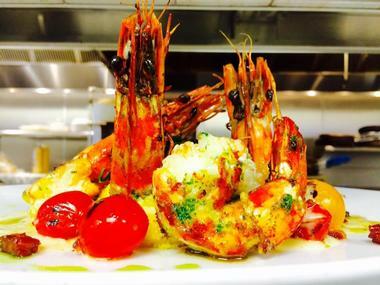 The restaurant specializes in dishes ranging from Cicchetti to Tramezzini to authentic Venetian main courses. The interior boasts beautiful tile floors, booths and tables, exposed stone, and contemporary artwork. Visitors will appreciate the casual atmosphere, friendly staff, and incredibly delicious food. The Bresaola, Rucola e Grana Padano is divine – prepared with finely sliced, dry cured beef, Grana Padano cheese, and Arugula. This sensational restaurant featuring global flavors is situated in Clearwater, Florida’s historic Cleveland Street District. Clear Sky on Cleveland provides locals and visitors alike with the perfect destination for excellent food, tasty cocktails, and superb wine. With Chef Bobby Shirley at the helm, diners are sure to enjoy creative culinary elements designed to make their taste buds joyously dance. The interior features industrial design elements that include exposed brick and HVAC ducting. The restaurant is equipped with a long bar, dark-wood tables and chairs, and several flat-screen TVs. The Pan Seared Scallops are a menu favorite – prepared with citrus garlic quinoa, blistered grape tomatoes, and Brussels sprouts. Kara Lynn’s Kitchen is an extremely popular health food restaurant situated along historic Cleveland Street in Clearwater, Florida. With every meal being made from scratch, visitors are sure to enjoy healthful and nutrient dense meals. The proteins are wild-caught, pastured or grass-fed; the veggies and fruits are mostly organic, and natural sweeteners are used such as coconut palm sugar, maple syrup, and honey. Every dish is grain-free, gluten free, and non-GMO, if dairy is required, use is very limited. The interior features tan tile floors, white tables, a wood bench, and cute chairs. The Scottish Salmon is phenomenal – prepared with a 6oz skin-on sustainable salmon seared to perfection and served with veggies. Getting its start in the 1940s, The Bait House Tackle & Tavern is situated in a picturesque marina on Clearwater Beach, Florida. After decades of providing quality tackle and fresh live bait, Christian Harms and Justin Pfaelzer decided to bring the taste of Florida to their Bait House in 2009. Visitors will find the restaurant’s atmosphere to be laidback and relaxed. The interior features dollar bills taped all over the ceiling and walls, a full-service bar, and flat-screen TVs. There’s also a patio area with several tables and umbrellas for a little outdoor dining with water views. Patrons will enjoy menu favorites that include the Fresh Catch Platter – a fresh fish that changes daily, served with two side items. 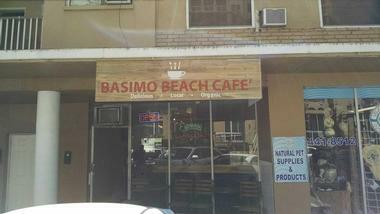 Basimo Beach Café is a laidback, counter serve café situated along Gulf Boulevard, just down the road from Sand Key Park in Clearwater Beach, Florida. The café prides itself on using fresh, locally sourced, and organic ingredients. Visitors will appreciate the relaxing atmosphere, friendly staff, and quality food. The interior is equipped with gray tile floors, white walls, eclectic styles of tables and chairs, and scattered artwork. The café also has a patio area with wood tables and chairs, yellow umbrellas, and breathtaking ocean views. The Sunrise Salad is a popular choice – soft boiled egg, organic greens, Basimo house dressing, granola bar, fresh fruit, and an English muffin or toast. Blinkers Beachside Steakhouse and Lounge is an established Kentucky steakhouse that has brought its delicious flavors to Clearwater Beach, Florida. The restaurant is situated on a sliver of land between the Mandalay Channel and shimmering Gulf of Mexico. The menu features items using Choice Sterling and USDA Prime steaks, fresh seafood and produce, and locally sourced ingredients. 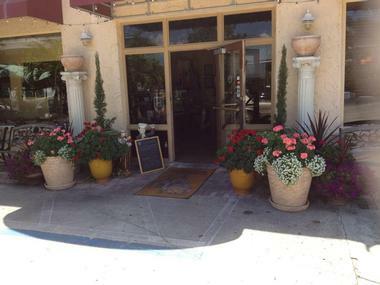 The cozy restaurant provides an inviting atmosphere, warm hospitality, and exceptional service. The interior features fawn-colored walls, booths, modern tables and chairs, gray carpet, and contemporary artwork. Diners will enjoy sensational dishes that include the Ahi Tuna – prepared with Bok Choy, cucumber, pickled Shimeji, sweet soy, and Sriracha Mango. 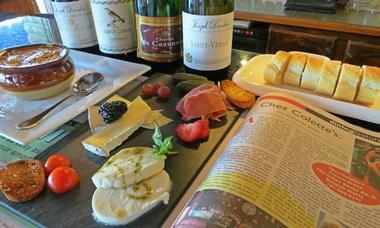 Chez Colette’s French Bistro is a sensational French restaurant located in the seaside community of Belleair Bluffs, Florida. Visitors can join the restaurant for lunch or dinner in an intimate, art and wood-trimmed, French-style café, serving classic entrees that include beef bourguignon. The exterior features a couple of brown barrels at the entrance, a red and white awning, and a couple of white benches. The interior provides booths with tufted backs, chic tables and chairs, a wine bar, black and white checkered floors, and scattered artwork. The Duck Foie Gras is a popular choice – home-made and served with berries, toasted brioche, and mango chutney. Cork & Brew Bistro offers artisanal small plates in a quaint, cozy eatery situated along Mandalay Avenue in Clearwater, Florida. Visitors can enjoy a beautiful day on one of the nearby beaches before unwinding here with a tasty craft beer or superb glass of wine. The restaurant’s casual dining atmosphere, friendly staff, quality food, and excellent service make it a top choice among locals, as well as visitors. The space is equipped with a decent sized bar, tall and short tables and chairs, and plenty of flat-screen TVs. Guests should give the BBQ Pulled Pork Sliders a try – prepared with smokey, sweet BBQ sauce, caramelized onions, coleslaw, and Kosher pickle. Cristino’s Coal Oven Pizza is a cozy Italian restaurant specializing in pizzas, Paninis, pastas, and gelato, in Clearwater, Florida. What sets this restaurant’s pizza apart from its competitors is the heat from the coal oven they use. The ovens cook pizzas in less than five minutes, the results are a golden, slightly charred crust, and melted, cheesy deliciousness. Visitors will definitely feel like they’re part of the family when dining here, the atmosphere is inviting, smiles are bright, and the food sensational. Visitors will want to try the Quattro Formaggi Pizza – tomato sauce, gorgonzola, ricotta, goat cheese, mozzarella, basil, oregano, and choice of additional toppings. Frenchy’s South Beach Café is a colorful seafood shack specializing in wonderfully delicious grouper sandwiches located in Clearwater Beach, Florida. The café is situated between the Gulf of Mexico and Clearwater Bay, making it a convenient stop for beachgoers and boaters alike. Visitors will find the atmosphere to be laidback and friendly, the staff welcoming, and food of the highest quality. 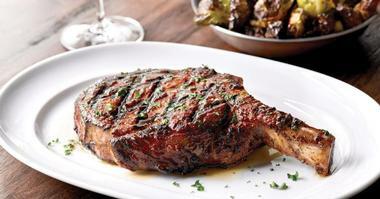 The restaurant’s goal is to bring fresh-from-the-Gulf seafood to patrons at reasonable prices. The patio area provides several round white tables, large orange and yellow umbrellas, and orange plastic chairs. The Super Grouper Sandwich is a must – grouper (fried, Cajun, or grilled), cheese, tomato, and lettuce. Served with a side of chips and a pickle. 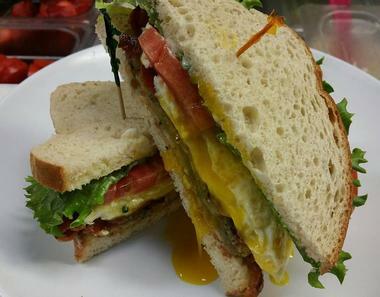 Grahame’s Gourmet Café is a casual breakfast and lunch eatery situated along the bustling Cleveland Street in Clearwater, Florida. Visitors will find the charming café located on the first floor of The Atrium/SunTrust Building. The delicious homemade menu items are all made from scratch, and prepared using the freshest, locally sourced ingredients. The café believes in delivering healthy, tasty food at reasonable prices. Visitors will appreciate the laid-back, casual atmosphere provided. The restaurant’s equipped with gray and beige checkered floors, dark-gray tables and padded black chairs, and pale-yellow walls. The Cuban Panini is a popular choice – prepared with ham, salami, pork, Swiss cheese, mayo, mustard, and pickles. Lenny’s Restaurant is an unpretentious restaurant serving all-day breakfast and American lunch fare in Clearwater, Florida. The restaurant has a wonderful New York diner ambiance to it, and the comfort food is simply divine. The place is always jam packed, the staff is as sweet as pumpkin pie, and the portions are enough for two. 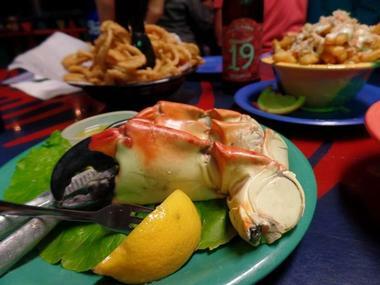 It’s easy to see why this restaurant has been a staple of Clearwater since 1958. The interior features turquoise leather booths, vintage chandeliers, sports memorabilia, and a breakfast bar. The BLT Benedict has been a hit since being added to the menu – prepared with two potato cakes, thick bacon, fresh spinach, grilled tomato, two poached eggs, and hollandaise sauce. Ocean Hai is a white-tablecloth, Asian-fusion restaurant located inside of the Wyndham Grand Clearwater Beach hotel in Clearwater, Florida. With dishes that harness incredible colors and flavors, and marvelous views over the Gulf of Mexico, diners will have the pleasure of stimulating all of their senses at this hotel’s signature restaurant. Executive Chef Sean Ragan has prepared an exceptional menu featuring items prepared with farm-raised poultry and meats, and fresh, locally sourced ingredients and seafood. The interior features beautiful hardwood floors, chic tables and chairs, and elegant décor. The Asian Sea Bass is exquisite – prepared with forbidden rice, micro green, shitake mushroom, and sugar snap. 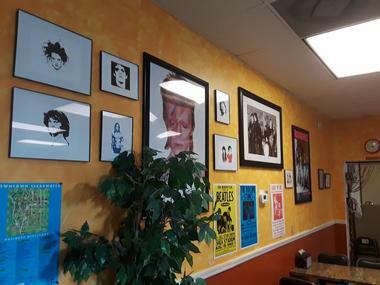 Paul’s Chicago Pizza is a family owned and operated pizza restaurant situated along McMullen Booth Road in Clearwater, Florida. 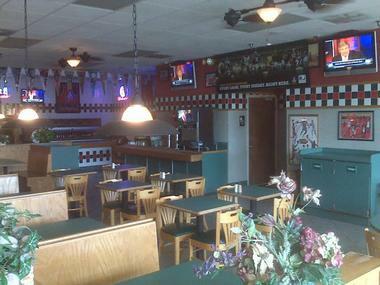 For years this Clearwater landmark has been serving up some of the best thin crust Chicago pizza around. Every morning they prepare fresh pizza dough, roll homemade meatballs, shred fresh mozzarella, craft homemade lasagna, and make their own pizza sauce. The fresh ingredients, passion, and love they put into every pizza really shows. Diners will feel right at home with the restaurant’s welcoming staff and attentive service. The Chicken Ranch Dip is a popular choice – prepared with a ranch base, roasted chicken, ham, and little onions. Pearly’s Beach Eats first opened its doors in 2014, the charming counter-service restaurant is situated at the corner of Poinsettia Avenue and Papaya Street, in Clearwater, Florida. Housed within a Key West-inspired cottage, the restaurant features outdoor seating encompassed by beautiful, tropical foliage that provides a little oasis, as well as shade for guests while they dine. Visitors will enjoy menu items that range from salads to tacos to burgers to burritos. The palm trees, large umbrellas, and surfboard-shaped tables complete the laid-back, beachy vibe the restaurant is going for. Patrons seem to gravitate to the Fish Tacos – blackened, grilled, or fried fish, with jicama coleslaw, shredded cheese, and fresh mango salsa. 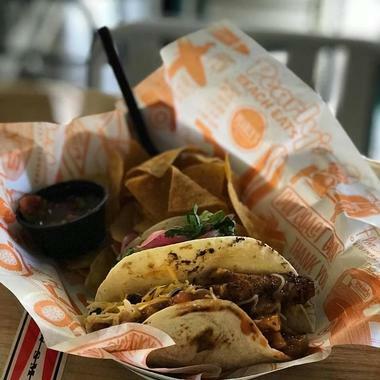 Poppa’s BBQ is a no-frills, award-winning barbeque restaurant situated in Clearwater, Florida, between the shimmering Gulf of Mexico and Old Tampa Bay. 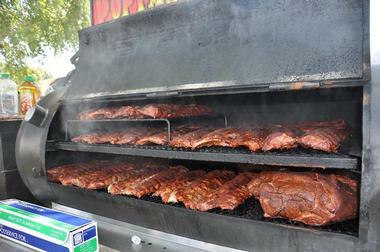 All of the wonderful barbeque flavors come from the large, black, oak-wood smoker parked outside. The restaurant specializes in Memphis-style ribs, meaning they’re cooked with a tasty dry rub and served without any barbeque sauce. They keep the menu simple with items ranging from pulled pork to baby-back ribs to BBQ chicken to potato salad. The interior is equipped with fawn-colored walls, tan tile floors, brown tables, black padded chairs, and framed competition posters. The Jumbo Pulled Pork Combo is a popular option, served with a drink and two sides. Rusty’s Bistro offers unique, Caribbean-meets-Southwest-inspired dishes in a luxury setting within the Sheraton Sand Key Resort in Clearwater, Florida. The resort is just off of Gulf Boulevard, and south of Sand Key Park. Visitors can come and enjoy the critically acclaimed “cuisine of the sun” prepared by culinary genius, Chef John Harris. 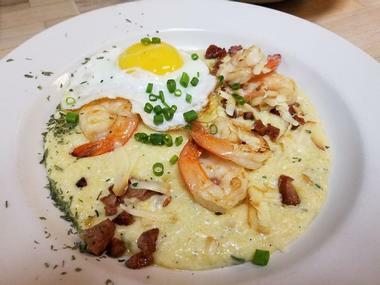 The restaurant is open for breakfast and dinner, patrons will be treated to everything from classic French crepes to American breakfast pizza to crab stuffed salmon to bacon wrapped filet. 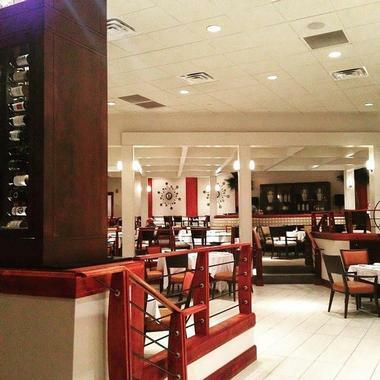 Diners will appreciate the elegant atmosphere and exceptional service. A chef recommendation is the Crab Crusted Snapper – Gulf snapper, herb citrus risotto, and tangerine butter sauce. 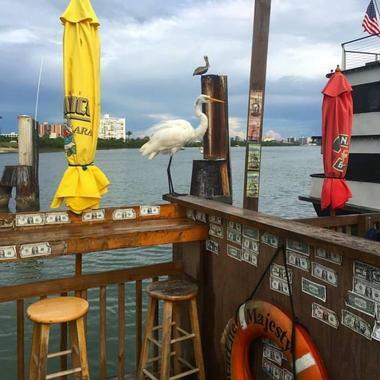 Salt Cracker Fish Camp is a casual seafood restaurant situated right on the marina in Clearwater Beach, Florida. Patrons will have the ability to dine here breakfast, lunch, and dinner. They’ll enjoy menu items ranging from the Western Omelette to Steamed Cedar Key Clams to The Double Stack Craft Burger. 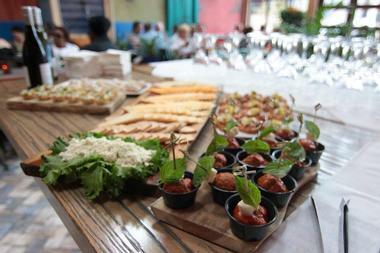 Guests will appreciate the relaxed environment, friendly and attentive staff, and quality food. The restaurant is equipped with a few industrial design elements, wood tables and black metal chairs, a wrap-around bar, and a lovely patio area. The Low Country Seafood Boil is a must try – prepared with potatoes, corn, andouille sausage, grouper throats, lump crab, scallops, mussels, clams, oysters, shrimp, and served with rustic garlic toast. Tate Island Grill is a beachfront restaurant situated along Mandalay Avenue in Clearwater Beach, Florida. The restaurant is located on a stretch of land between the Mandalay Channel and sparkling Gulf of Mexico. Visitors seeking a casual, relaxed dining experience should look no further than Tate Island Grill. Guests will be steps from the shimmering zero-entry pool and soft sand, where they can have their libations and Gulf Coast cuisine delivered to them while they chill in their pool lounger or beach chair. Diners can enjoy marvelous sunsets, live music on the boardwalk, and sports games on the restaurant’s large HDTVs. Try the Traditional Grouper Sandwich – prepared grilled or blackened, with tomato, lettuce, and tartar. 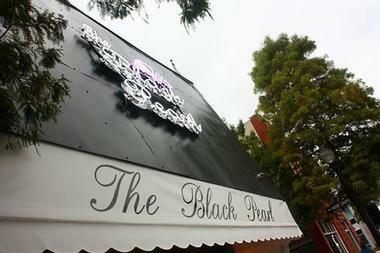 The Black Pearl of Dunedin is a restaurant with a seafood focus, serving elevated American eats in Dunedin, Florida. Believing life’s too short for eating bad food, Chef Christopher Artrip has curated a menu fit for the most discerning restaurant critics. Constantly pushing the boundaries, guests are sure to receive a one-of-a-kind, and unforgettable dining experience. The restaurant uses locally sourced ingredients whenever possible, and uses the freshest seasonal items for all dishes. Diners will appreciate the restaurant’s elegant atmosphere, professional and attentive service, and creative menu. Can’t go wrong with the Filet Mignon – an 8oz, pan seared, prime cut of steak cooked to the preferred temperature, served with roasted shallot, and a merlot demiglace. Tin Can Café is a cozy, family-owned restaurant situated along Myrtle Avenue in downtown Clearwater, Florida. 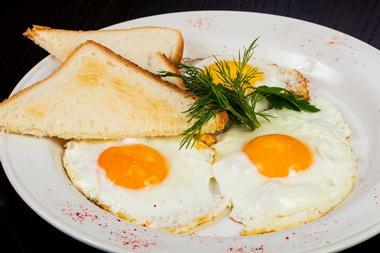 The café is committed to serving home-style breakfast and lunch to its patrons at budget-friendly prices. Visitors will find the atmosphere to be relaxing and comfortable, the service attentive, and portions generous. There’s a large collection of antiques on display, including tin canisters, some from the restaurant’s collection, and others given by customers from all over the world. The café is equipped with tile floors, diner-style tables and chairs, booths, and a breakfast bar. The Country Skillet is an excellent choice – diced and seasoned potatoes with ham, tomatoes, onions, peppers, topped with shredded cheddar cheese, and two eggs. 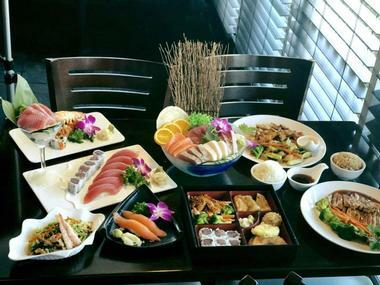 Umai Café is a sensational Japanese restaurant serving sushi and other traditional Japanese fare in Clearwater, Florida. Visitors will appreciate the warm and inviting atmosphere offered at the restaurant. The staff is committed to consistently providing quality food and exceptional service. The café proudly uses the freshest seafood and produce available, as well as locally sourced ingredients. The interior features dark-gray tile floors, exposed wood elements, dark-wood tables and chairs, flat-screen TVs, and a sushi bar. Guests will enjoy Japanese favorites ranging from sashimi to tempura to hibachi. Guests gravitate toward the Golden Beach Roll – a king crab and asparagus roll, topped with mango sauce, and fresh mango. 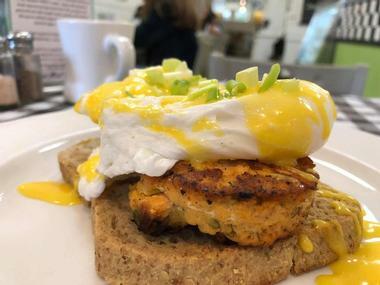 Wildflower Café is a delightful neighborhood café that serves breakfast, lunch, and a scrumptious Sunday brunch in Clearwater, Florida. Getting its start in 2000, the café has been a favorite of locals and visitors alike for the last 18 years. Visitors will appreciate the upscale, yet casual dining experience provided by the café. This award-winning café prides itself on using the freshest ingredients, delivering quality service, and offering a one-of-a-kind experience for its diners. Visitors will enjoy mouthwatering menu items that range from a breakfast burrito to the Honey Chicken Salad Croissant to The Sunday Omelet. A menu favorite is the Wildflower Baked French Toast at Brunch – prepared with brown sugar syrup, fresh whipped cream, and toasted pecans.